John Corigliano is an American composer of classical music and a teacher of music. He is a distinguished professor of music at Lehman College in the City University of New York. Since the mid-1960s, when he won an award for his professional debut, Sonata for Violin and Piano, composer John Corigliano has worked in a diverse number of classical music forms, including oratorios for large-scale stage productions, orchestral works for symphonies and smaller ensembles, movie soundtracks, and even a full-scale opera. Long respected by critics and audiences in the classical music community, Corigliano earned wider public recognition in 2000-01, some 40 years into his career as a composer, when he won an Academy Award for the soundtrack to The Red Violin and a Pulitzer Prize for his Symphony No. 2. Corigliano also embraced the chance to lead public discussions of classical music, often appearing for question-and-answer sessions before his works were performed. "It makes a very big difference when the audience actually sees a human being talk about his piece and then hears it.... They open up their ears and they finally say, 'This guy has something to say to us." Basking in critical acclaim and public attention, Corigliano became a rarity among contemporary classical composers: he actually verged on becoming a household name. John Corigliano, Jr. was born to a family surrounded by music. His father was an established figure in the classical music world in his own right, holding the first violinist, or concertmaster, position with the New York City Philharmonic from 1943 to 1966; his mother was a pianist. With such a pedigree, it was no surprise that the younger Corigliano studied music at Columbia University, where he completed his Bachelor of Arts degree while studying under composer, conductor, and electronic music pioneer Otto Luening. After finishing his studies at Columbia, Corigliano complemented his musical training at the Manhattan School of Music with composer Vittorio Giannini. Corigliano also studied with composer Paul Creston before making his first professional mark with the Sonata for Violin and Piano at the Festival dei Due Mondi at Spoleto, Italy, in 1964. Commonly known as the Spoleto Festival, the annual artistic gathering was a forum for modern dance, theater, music, and visual arts pieces. Corigliano's award for his chamber music piece earned him a reputation as one of the brightest young American composers of the day. Corigliano gained additional experience while working with legendary New York Philharmonic conductor and composer Leonard Bernstein on his Young People's Concerts series, which ran for 14 seasons beginning in 1958. Corigliano also made his mark as an experimental composer with his 1970 work The Naked Carmen, described as an electric rock opera inspired by Bizet's classic work. During the 1970s the composer also presented works such as Etude Fantasy, a work for the solo piano, Oboe Concerto, and Clarinet Concerto, the last of which was recognized as a breakthrough work for Corigliano at the time of its debut at the New York Philharmonic under Bernstein's direction in 1977. Corigliano's next major achievement, composing the score for the 1981 science fiction film Altered States, brought him his widest audience yet. The William Hurt movie was a box office hit and Corigliano shared in its critical praise, earning his first Academy Award nomination. Although he did not win the award, Corigliano welcomed the opportunity to expand his musical horizons on the film. "I pulled out all the stops of my experimental side because it was a wild film," he recalled in a 2000 profile in Advocate.The film score also became one of the "stepping stones" in Corigliano's career, as he related in an interview with the Twentieth Century Ltd. classical music program, as after its success he received a number of prestigious commissions from symphony orchestras. One of these works, commissioned by the Chicago Symphony Orchestra during his residency there, resulted in Corigliano's Symphony No. 1, written in response to the AIDS crisis. Although Symphony No. 1 was composed as a personal remembrance to friends lost to AIDS, Corigliano's work was embraced on a wider level by orchestras and audiences around the world immediately after its debut in 1991. One of his most enduring and universal works, Corigliano described it as "a tragic symphony" with several possible meanings depending on its interpretation. "But the wonderful thing about music," he told Twentieth Century Ltd., "is there are no words, and that gives you the freedom to get what you want out of it, to hear it the way you want to hear it." The Chicago Symphony's recording of Symphony No. 1 won two Grammy Awards, for Best New Composition and Best Orchestral Performance, but these were not the only awards that Corigliano won for his work that year. In addition to being inducted into the American Academy and Institute of Arts and Letters for his body of work, Corigliano also received the Grawemeyer Award, perhaps the most prestigious award for composition, for Symphony No. 1. Corigliano received recognition as Composer of the Year from both the International Classical Music Awards and Musical America for his other outstanding work of 1991, the opera The Ghosts of Versailles. Written in collaboration with librettist William M. Hoffman, the work was Corigliano's first venture into opera, but one that met with immediate critical success. As its title reflected, the production presented the ghosts of several eighteenth-century French aristocrats, including Marie Antoinette, who gathered at Versailles to hear a new opera. Although the format was a novel one for the composer, he brought the eclectic elements that he used in other works to produce "an atmospheric mix of serialism, romanticism, neoclassicism, Turkish pastiche and electronics," as a Newsweek reviewer noted. Despite the complexity of the opera's score, however, Corigliano succeeded in making The Ghosts of Versailles an accessible work. As he told Newsweek, "Music is very often a foreign language, even to music lovers. That's one reason I vote for clarity at all times." Making musical sense from a variety of sources had become the composer's trademark and the basis for his critical and commercial success. "We are exposed all the time, barraged really, with a variety of worlds of music," he told Twentieth Century Ltd. "So the idea of shutting that out of my vocabulary seemed ridiculous." During the 1990s, Corigliano continued to branch out into pieces that included another Grammy Award-winning composition, 1996's String Quartet, as well as the cantata Of Rage and Remembrance, inspired by his own earlier Symphony No. 1. Corigliano also reworked selections from The Ghosts of Versailles into a piece for cello and piano called Phantasmagoria. Although Corigliano had enjoyed his past work on movie soundtracks--which included the 1985 film Revolution in addition to Altered States--he was reluctant to take on another film project because of the loss of control a composer suffers during the film's production and editing. The proposal for The Red Violin, however, intrigued Corigliano as a unique opportunity. The story of a violin with tragic origins that travels from owner to owner over the course of 300 years, the film featured the violin's music as a central element of the plot. In fact, Corigliano's score helped to construct the film's plot. Because of production delays with the film, he had completed the score before much of the film had been shot. To some, the film was almost irrelevant to enjoying Corigliano's work. "The score is filled with fire and blood," as the National Review noted. "It can be savored all on its own, celluloid aside." Debuting in 1997 as The Red Violin Chaconne for Violin and Orchestra with the San Francisco Symphony, the work was another stunning success. 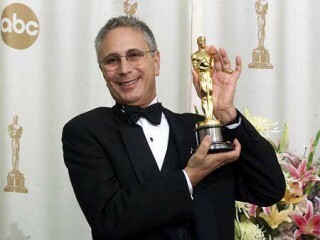 After the film was released in 1999, Corigliano won the Academy Award for Best Original Film Score. In 2001, Corigliano learned that he had received the Pulitzer Prize for his composition Symphony No. 2, a string orchestra piece commissioned by the Boston Symphony Orchestra. Corigliano also looked forward to reworking The Dylan Thomas Trilogy, his 1999 oratorio performed by a chorus using the poet's work as a reference point, into a unified piece. In addition, the composer continued his ventures into combining the human voice and electronic instruments, a direction that had already resulted in the 1998 work Vocalise with the New York Philharmonic. One of the few remaining challenges for Corigliano was to conduct a performance of one of his compositions. "I did conduct once or twice," he told Twentieth Century Ltd. with characteristic self-effacement. "It made me too nervous." -Altered States (soundtrack), BMG-RCA, 1981. -Phantasmagoria: Music of John Corigliano , Sony Classics, 1990. -Poem in October/Oboe Concerto/3 Irish Folk Song Settings , BMG-RCA, 1990. -Corigliano: Concerto for Clarinet and Orchestra/Barber: Op. 47 , New World, 1992. -John Corigliano: Of Rage and Remembrance/Symphony No. 1 , BMG-RCA , 1996. -Five American Clarinet Quintets , Delos, 1998. -The Red Violin (soundtrack), Sony Classics, 1999. View the full website biography of John Corigliano.